Would a smartphone 'killswitch' deter thieves? 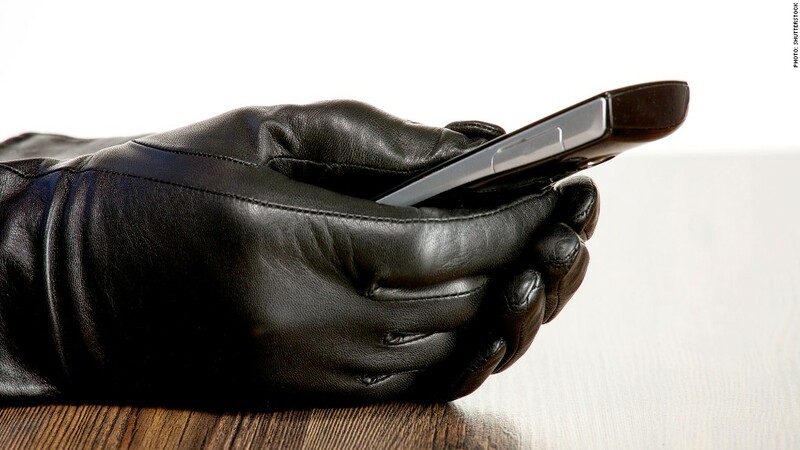 Smartphone thefts are on the rise. Some law enforcers think Apple, Samsung and others need to do more to deter mobile device crime. As violent crime tied to smartphone theft continues to rise nationwide, law enforcers are publicly calling on manufacturers to install "killswitch" technology that would render a stolen device useless. The "Secure Our Smartphones" initiative, spearheaded by New York Attorney General Eric Schneiderman and San Francisco District Attorney George Gascón, officially launched on Thursday. The goal is to make smartphones less valuable to thieves, who can currently sell stolen devices on the black market for hundreds of dollars. That big payoff for often little effort, dubbed "Apple picking" because iPhones typically attract the most money, has led to a shocking crime wave. Last year, about half of all robberies in San Francisco involved a mobile device. Phone-theft victims in several cities have been killed. To address this, Schneiderman summoned executives from smartphone companies Apple (AAPL), Google (GOOG), Samsung and Microsoft (MSFT) to his office in New York City on Thursday. The meeting was closed, but Schneiderman held a press conference before the summit to detail what lawmakers want. "Our parameters for success are clear," Schneiderman said. He added later that "smartphone makers need to make every stolen phone a paperweight" -- that is, once a device is marked as stolen, it cannot be reactivated. He stressed that any anti-theft technology needs to be "universal to all phones," and that he thinks "this problem is solvable within a year." Next year's devices should have such technology installed, Schneiderman added. Lawmakers are putting pressure on smartphone manufacturers after an effort by carriers last year to deter crime did not work. Wireless association CTIA attempted to create a database of smartphones reported as stolen, but Schneiderman referred to that program as a "failure," as thefts continued to rise. Gascón was blunt about his view on smartphone makers' responsibility, saying they have "a moral obligation" to address the problem. He was also skeptical of Apple's new Activation Lock feature, which was announced Monday and will be part of Apple's upcoming iOS 7 operating system. Activation Lock requires a user to log in with the phone's associated Apple credentials in order to reactivate the device. Gascón said he didn't think that "will get us quite where we need to go, but it's a step in the right direction." He added that they would reserve judgment until they have a better understanding of the technology, but he again stressed that lawmakers are pushing for a true "killswitch." Schneiderman made it clear that he won't rule out legal action if the manufacturers refuse to make changes. Samsung declined to comment, while Microsoft and Google did not reply to a request for comment. Apple released a statement pointing out that the company launched its "Find My iPhone" feature back in 2009, which gives customers "more control" and acts as a theft deterrent. Schneiderman and Gascón clearly want more, though. What such anti-theft technology will look like depends on smartphone makers. But even a killswitch may not completely end smartphone crime. If we've learned anything about modern technology, it's that any system is hackable -- and even a deactivated, "bricked" phone can be sold for parts. But Kevin Mahaffey, the co-founder of security tech company Lookout -- which is advising Schneiderman and Gascón on the smartphone theft issue -- said putting barriers between thieves and easy money is the key to deterring much of the current street crime. If a thug needs to pay a hacker a few hundred dollars to reactivate a bricked device, that should lessen the incentive to steal. "From a security standpoint, there are always ways around any system," Mahaffey said. "There is no silver bullet. But these thieves are not technologically savvy, most of the time -- and if you layer different solutions together it can make a huge difference. At this point, implementing any smart solution is better than the situation we have now."